A police officer was shot early Thursday morning after confronting a gunman in a hospital emergency room. According to an arrest warrant, 27-year-old Kevin Boyce Patterson dragged his father at gunpoint through the Laurens County Memorial Hospital emergency room at approximately 2 a.m. When confronted by a Greenville Health Authority Police Department officer, Patterson opened firing, wounding the officer. The officer returned fire as Patterson attempted to flee, hitting him in the arm, reports Police One. The officer was treated and released. Patterson was also treated and booked at the Laurens County detention center where he is being held without bail. He has been charged with attempted murder, kidnapping and pointing and presenting a firearm. Officials said Patterson was not a patient at the Clinton hospital but was with another person who was being seen by staff in the emergency department at the time of the shooting. No one else was injured during the four-minute incident. Jahaza Duncan, who was in the emergency room with her son, said a quick-thinking nurse locked them inside a bathroom after they heard gunshots, according to WYFF4. The shooting occurred less than 24 hours after a man opened fire inside another South Carolina hospital, critically wounding a nurse. 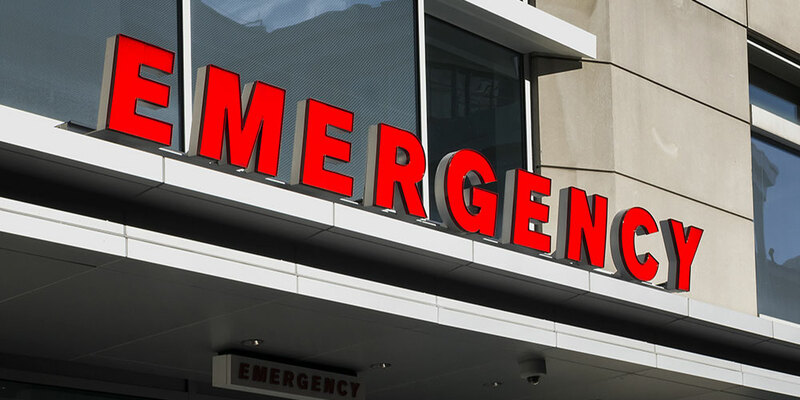 Abrian Dayquan Sabb, 23, fired multiple shots inside the emergency room of the Regional Medical Center in Brookdale, striking the nurse in the abdomen. A hospital security guard had Sabb in custody by the time responding Orangeburg County deputies arrived. The nurse was taken into surgery after the shooting and was in critical condition as of Wednesday afternoon. Family members had brought Sabb to the hospital the day before to get him mental health treatment but were told to come back because there weren’t any beds available. He has been charged with attempted murder and possession of a weapon during the commission of a violent crime. The post Officer Shot in Laurens County Memorial Hospital ER appeared first on Campus Safety Magazine.